I shared my Lucky Stars quilt finish the other day as a part of my ALYoF goal finish, but I wanted to give a few more details of it over here :) I absolutely loved being a part of the Lucky Stars Quilt Along over at Quilt Story last summer! Heather and Megan did a fantastic job organizing everything, and the pattern for the quilt is so darn gorgeous. 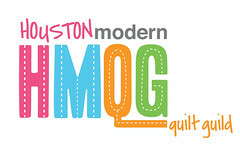 I made my version of the quilt with a FQ Blogger Bundle I bought over at Pink Castle Fabrics. The name of the bundle was Blueberry Bushes and it was put together by the wonderful Holly from Bijou Lovely. I love all of the fabrics in the bundle, especially the Pearl Bracelets and the Color Me Retro prints. I finished the top of the quilt last August right in line with the quilt along, I even won a prize for finishing! But then it sat, and sat, and sat because I was stumped on how I should quilt it. This quilt is roughly twin sized so I was scared about doing anything too crazy, but I finally decided to do straight line quilting. I love the effect the straight line quilting creates but I despise how long it took! I kept having to switch the direction I was sewing because I was having some issues with the quilt top pulling and getting distorted. 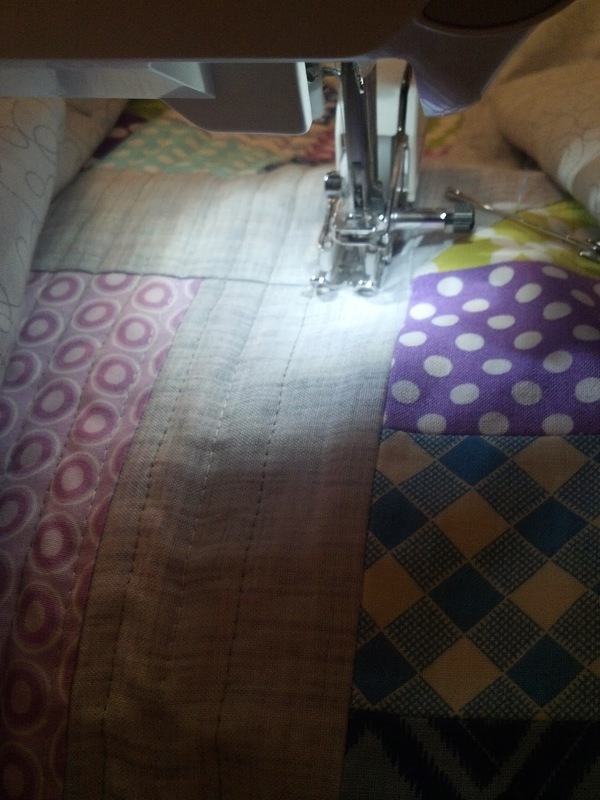 After I figured it out, I was able to get in a groove and I busted it out in a couple of multi-hour quilting sessions. Speaking of leftover fabric. I knew I wanted to do something interesting with the backing so instead of just piecing the two pieces of backing together, I used the leftover 2.5" squares from the patch blocks to make a strip to run down the back. I LOVE it! And I am proud of myself that I could actually get it straight up and down. I made this quilt for my little sister Emily. She is a wonderful, amazing, & strong young woman, and I can't believe that she is going to be 21 this year! I love that back! Very cool! its really pretty, and I love the back too! Beautiful! I love the colours and the back is fabulous. Great finish! The back is fabulous and you do have some skill with the stipe being straight. Kudos!